Located in an old storage house, the Spanish restaurant Magasand recently opened its third location in Madrid’s Las Delicias neighborhood. 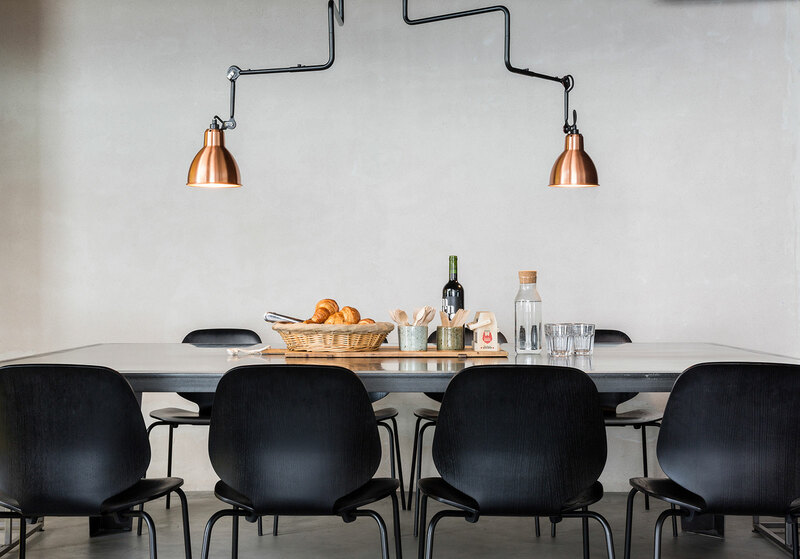 The industrial space is furnished with My Chairs made of ash wood, which brighten the space and add a touch of fresh green color. 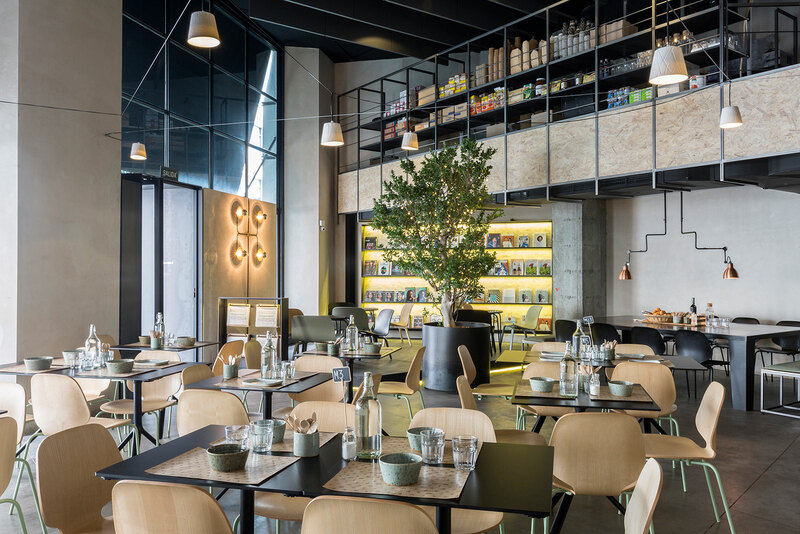 Referred to as “fast haute-cuisine” by the media, Magasand restaurant is a family-run restaurant that comes with a thoughtful and functional design by architects Reyes Castellano and Juan Carlos Fernández (www.venturaestudio.com). 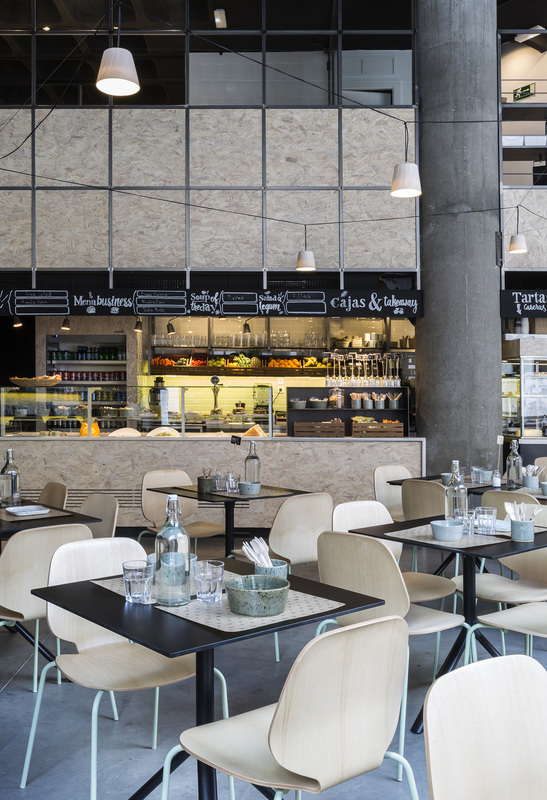 One of the most important points of the interior design is that every element inside the restaurant has its use. 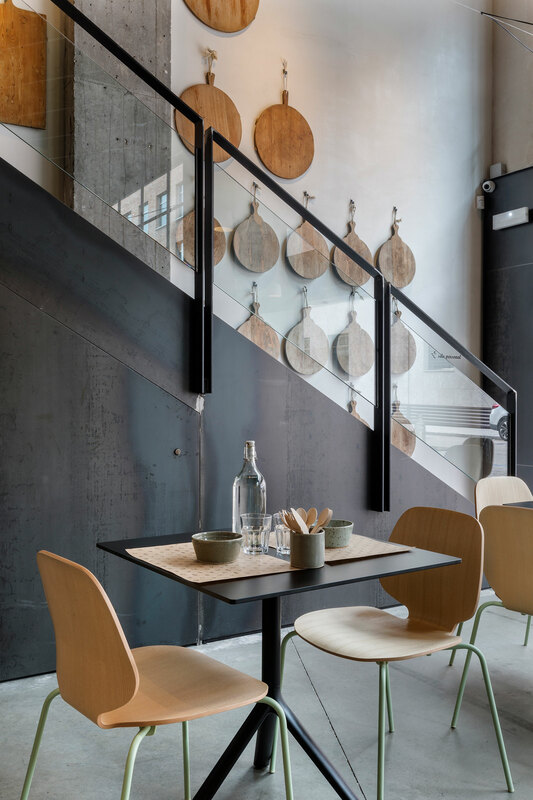 In line with Magasand’s effort to bring the best available produce in form of simple dishes to the table, the interior design also uses only natural raw materials that will age well and that are true to what they are. My Chair, designed by Nicholai Wiig Hansen for Normann Copenhagen. 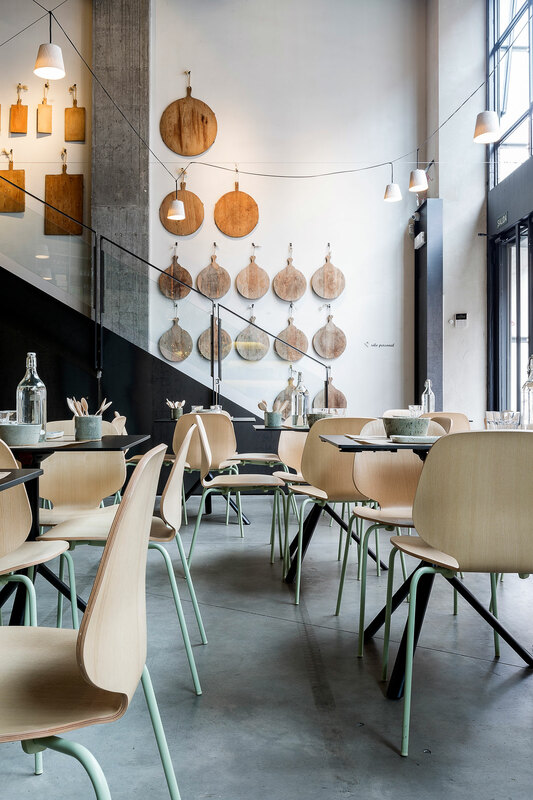 “Since we needed a comfortable chair that was light, simple - and that would have the same concept as the restaurant - Normann Copenhagen’s My Chair was perfect! It has a beautiful design and it is simple at the same time. It only uses the materials needed to make it useful and pretty,“ Ventura architects state. 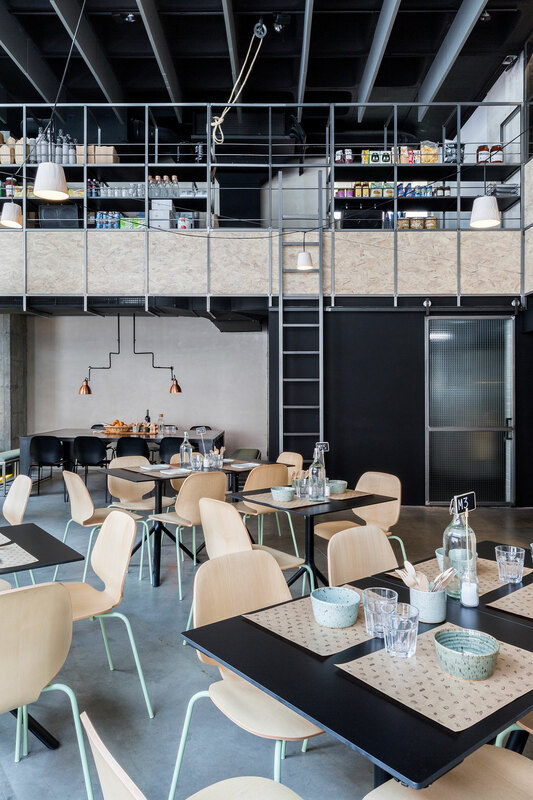 “This way you have very simple materials in the restaurant and the pale green gives the finishing touch to make the design of the restaurant complete,” architect Juan Carlos Fernández goes on explaining. 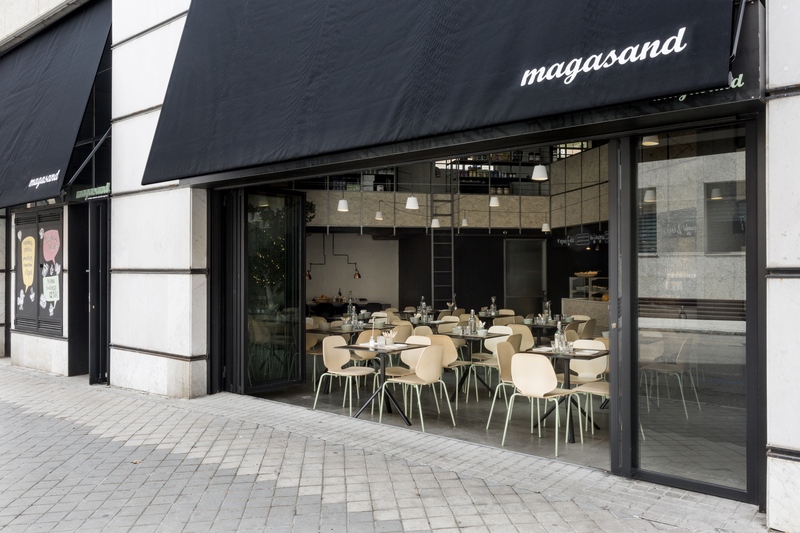 A table for two at Magasand in Madrid. 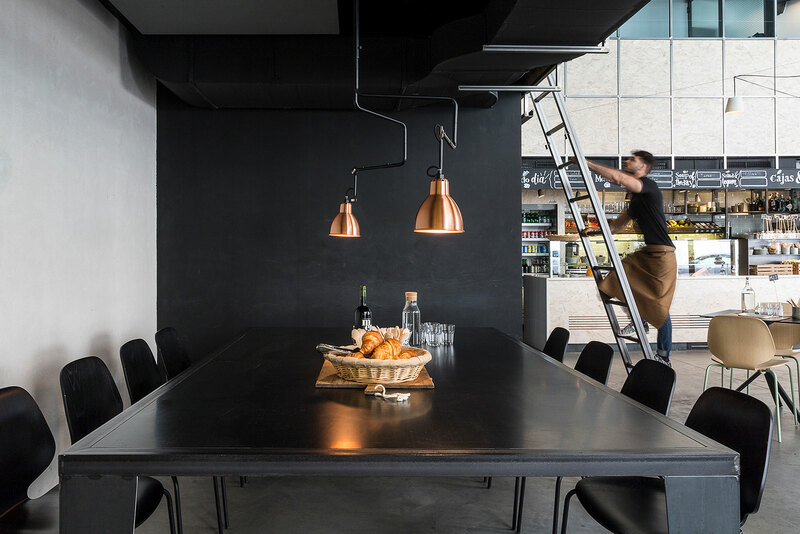 While the project respects the essence of what Magasand stands for, it manages to adapt to its new surroundings, taking advantage of the beautiful double-height ceiling and the existing industrial elements. Guests can expect fast haute-cuisine, with only the best produce and ingredients. That being said, the interior architecture utilizes the existing grids in the ceiling and old windows to create a new pattern for every element designed in the venue. This pattern can be seen in the facade, the shelves, the stairs and all other elements, which maintain the industrial character of the venue. My Chair by Normann Copenhagen in black lacquered ash wood. My Chair in ash wood and pale green steel legs.